[PDF] The Fundamentals of Interior Design, 2nd edition | Free eBooks Download - EBOOKEE! 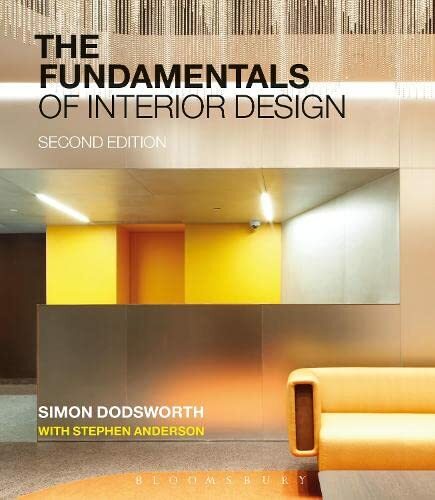 Description: The second edition of The Fundamentals of Interior Design provides a thorough introduction to the key elements of interior design and the ideas that underpin them. The book describes the entirety of the creative process, from researching initial ideas to realizing them in three-dimensional form. Throughout the text, guidelines are given to provide structure to the interior design process and the reader is encouraged to adapt and initiate methodologies to suit individual project needs. This approach is intended to give designers a belief in their own abilities, and the confidence to tackle different projects with the unique challenges that each one brings. The book features a variety of diagrams and talking points to encourage students and practitioners to think about key issues such as understanding spatial relationships and the use of sustainable materials. This second edition includes new case studies focusing on well-known international interior design studios, such as Conran and Partners, UK, Slade Architecture, US, Gensler, US and award winning architects Chae-Pereira in South Korea. The introduction of interviews with contemporary interior designers allows readers an insight in to the working world of interior design. The new projects allow students to explore what they have learned in each chapter through experimentation and these activities encourage creativity and further learning. 2018-02-02[PDF] The Fundamentals of Product Design. No comments for "[PDF] The Fundamentals of Interior Design, 2nd edition".